The body clock that all Estonians share is set to the year’s solstices. By early spring everyone in the country is already looking forward to the white nights to come, and when they arrive everyone harks at the wonder of them again, just as they do every year. The joy they derive from white nights culminates on the summer solstice, and it is not long after the midsummer celebrations that a certain sadness sets in – one which grows by the day, since the darkest period of the year is approaching once more. The longest nights, in November and December, are a time for self-reflection, but also ignite new hope: the countdown to midsummer begins anew. 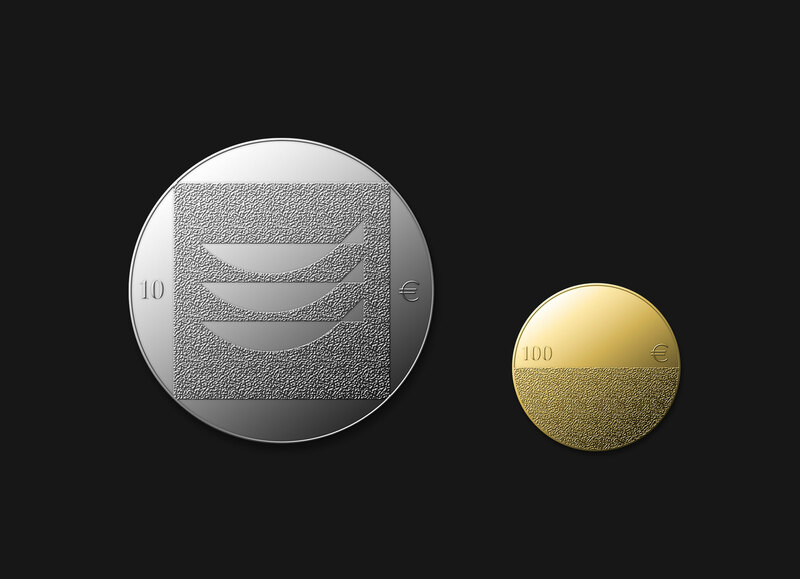 These two moments which define what it means to be Estonian – the summer and winter solstices – are captured on this gold and silver coin. This competition entry comprises a duo of coins and tells the story of how what we see today is the result of actions taken a century ago. At the right moment, from the right deed, a nation emerges and a sapling sows the seeds of an entire forest. Nations, like forests, grow and change over time, and what they will be like in the future is determined by how we treat them in the here and now. In a country with a chequered history it is not only national symbols that people set store by, but also the flavours and landscapes of the place that people long for when far from home. Our coastline and status as a maritime nation are held dear by every Estonian, and while we may take this for granted today, it hasn’t always been this way. To Estonians, the sea is a symbol of openness and freedom. 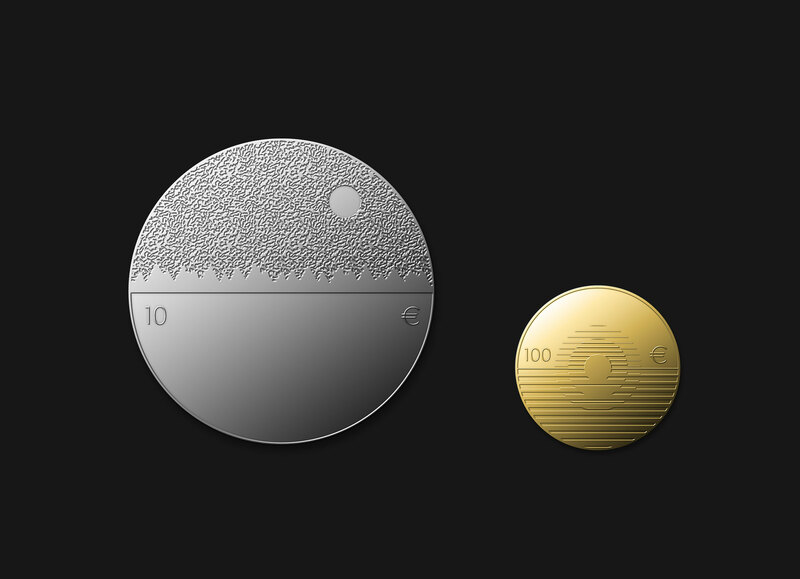 The gold coin depicts the broad but unbroken horizon of our sea. The unique flavours of this corner of the world bordered by the sea – sprats and black bread – have evolved into beloved symbols over the centuries for those of us who live here. The silver coin comprises two coats of arms: that of the state with its three lions on a shield on the obverse, and three sprats on black bread on the verso.